Shopping for Star Trek Wallets? Star Trek: The OriginalWallet. The sleek design of this Star Trek Original Series Men's Wallet will make any cadet proud! This bi-fold wallet features a built-in etched stainless steel money clip with tri-color stitching detail, inner slots for cards and ID, and a back perforated fabric pocket. 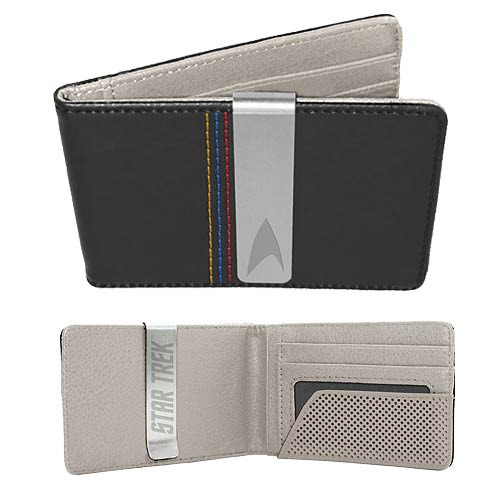 The Star Trek Original Series Men's Wallet measures 4-inches wide x 3-inches tall. Ages 14 and up.